Are you wanting to have your property checked regularly to decrease criminal activity and ensure that all is secure and safe? 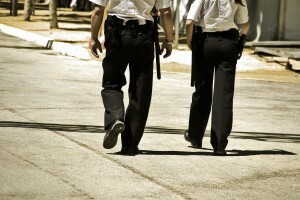 “HITS SECURITY SERVICES“ provides superior security services teamed with intelligence. The Security Officers we select are able to make smart and spot decisions and take fast, effective action when time is of the essence. In case your home or business premises needs daily, weekly or monthly patrols, from internal to external, our exclusive security vehicles may offer this support for you personally. For our clients and other alarm companies, we can immediately dispatch a security officer in a marked squad car to investigate the source of the alarm, contact the local police, if needed, contact our client with the results and secure the building on behalf of the client. Our trained Patrol Supervisors may come to your site in well maintained safety vehicles, at predetermined times, or randomly, to make sure your home is secure and safe. If our experts locate something unusual while at your service, our safety experts may deal with the situation according to prior instructions and event escalation methods. With regard to the type of event, we will also follow up individually during the function or to the next business day,to make certain you’re completely pleased with our services.